before Senior District Judge (Chief Magistrate) Emma Arbuthnot, Viscount St. Davids chose to represent himself and, according to the judge, did so in a "perfectly competent way" though, somewhat intriguingly, the judge noted that - "He cannot be expected to know or understand the criminal procedure rules." He was convicted by the judge of two out of the three offences with which he was charged. The Judge's reasons for the conviction and her sentencing remarks have been published by the Judiciary - HERE. The two convictions were one dated 11th September 2016 where the target of the communication was a Mr Arnold Sube and one dated 7th November 2016 where the target was Mrs Gina Miller who, at the time, was the litigant in the Brexit litigation. The judge held that the offence against Mrs Miller was "racially aggravated." The judge considered the sentencing guidelines and concluded that both offences were Category 1 in seriousness. For the first offence (relating to Mr Sube), a sentence of 4 weeks imprisonment was imposed. For the second offence 12 weeks which would have been 8 weeks but for the racial aggravation. The two sentences, albeit for offences with different dates, were ordered to be concurrent. The judge rightly took into account that Viscount St. Davids had an alcohol dependency, had medical issues and had recently been made bankrupt - (see here). Good points in his character were also noted. An interesting point is that the judge says that she excluded in the trial certain "bad character evidence" - see HERE at para. 15. This is a complicated topic. Such evidence is admissible at trial subject to Part 11 of the Criminal Justice Act 2003. It is possible to have pre-trial binding rulings as to the admissibility of such evidence. He will serve 6 weeks in prison and will then be released but will be subject to post sentence supervision for 12 months - (Offender Rehabilitation Act 2014). He is subject to a restraining order for 5 years with respect to Mr Sube, Mrs Miller and, interestingly, a Mr Steeples who is referred to in the judge's reasons for conviction. He must also pay £500 in compensation to Gina Miller, a surcharge of £115 and costs of £250. Could the sentence of imprisonment have been suspended? This point is not addressed specifically in the judge's remarks. Sentencing guidance on this topic has been published by the Sentencing Council. There has been a certain delight (maybe schadenfreude) that a peer of the realm has been convicted. I do not share this delight at his downfall. In at least one early report there is a comment that Viscount St. Davids insisted on being referred to as Lord St. Davids in court and not Mr. - The Independent 2nd May 2017. The UK has this ancient system of peerages and titles. Whether that is a good thing or not is a point on which opinions differ but, as things are, he was entitled to that courtesy. Beyond that, he was entitled to the same treatment as any other individual appearing before the courts within the United Kingdom. Please see other posts relating to section 127 - The Twitter Joke appeal (27th July 2012) and Mr. Omega Mwaikombo (23rd June 2017). Viscount St. Davids is to appeal the conviction and sentence which will be heard in the Crown Court at Southwark on 10th August. 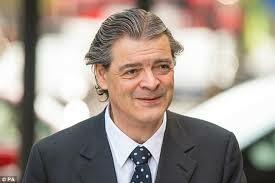 He has been granted bail pending the appeal - see Criminal Law Blog 20th July. Viscount St Davids abandoned his appeal against conviction but continued his appeal against sentence -Shropshire Star. A further hearing in the Crown Court was set for 25th August. The appeal against sentence was abandoned - The Guardian 25th August. 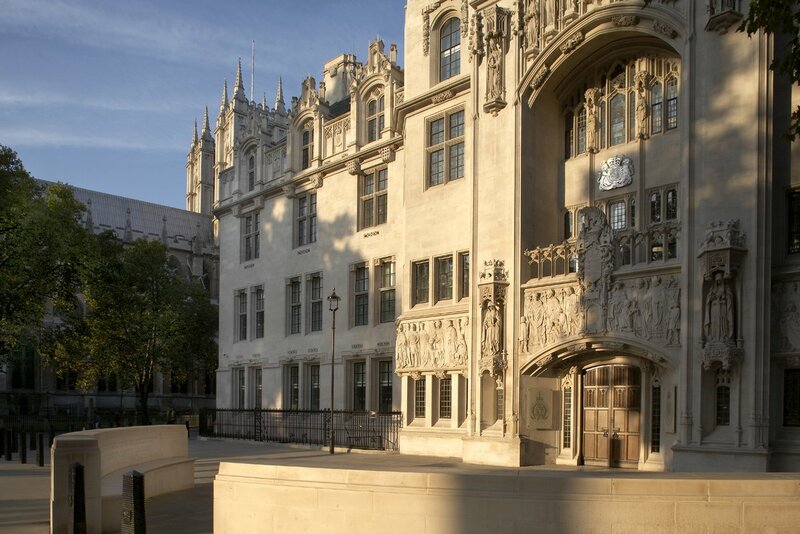 On an appeal against sentence from Magistrates' Court to Crown Court it is possible, when the appeal is dismissed, for the Crown Court to impose any sentence it deems appropriate. The Crown Court is not bound by the Magistrates' Court.